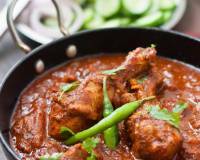 A speciality from the Marathas, this Chicken Donne Biryani Recipe is very popular in the city of Bangalore. 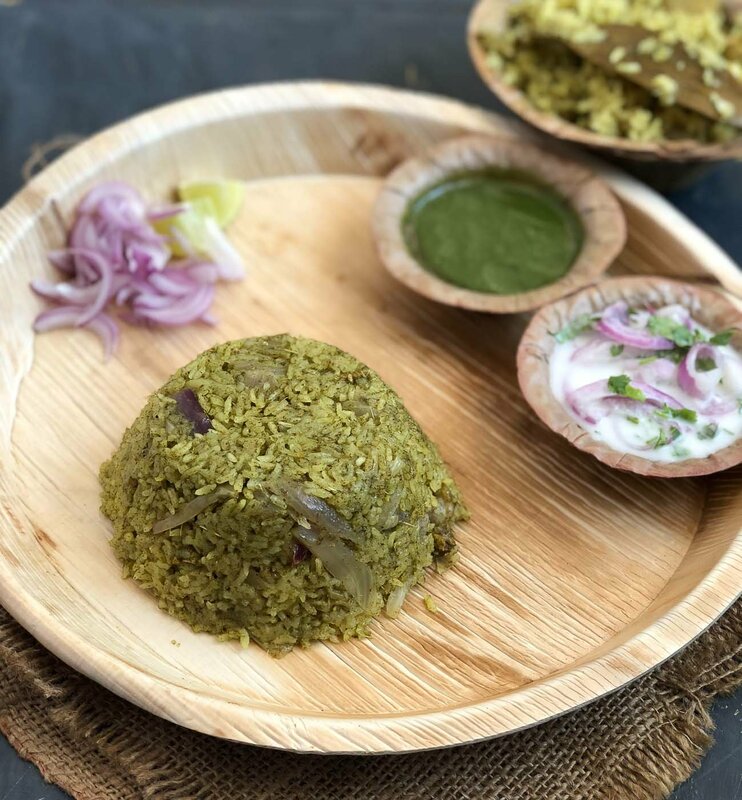 The steaming hot biryani is served in a large dried palm leaf cups called 'Donne' and hence the name. You can serve it with Raita of your choice. 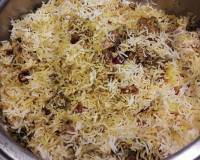 Chicken Donne Biryani Recipe, is a special recipe from the Marathas. 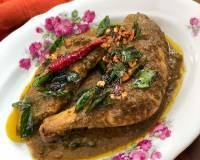 It is found to be sold by many vendors and restaurants in almost all over the city of Bangalore. In Bangalore, a very popular restaurant named 'Shivaji Military Hotel' serves the best Donne Biryani in town. Traditionally the biryani prepared in a huge copper vessels over charcoal stoves and served in a leaf container called Donne. "Donne" in the local language means large cups made with dried palm leaves. The steaming hot biryani is served in these Donnes and hence the name of the biryani. Serve this Chicken Donne Biryani Recipe along with Pudina & Dhaniya Raita Recipe, Roasted Papad and Satvik Carrot Sprout Salad for a hearty Sunday lunch. 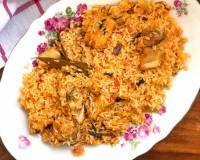 To begin making the Chicken Donne Biryani Recipe, thoroughly clean and wash the chicken pieces. 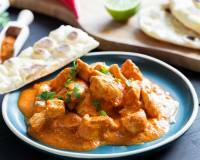 In a large mixing bowl combine the chicken, yogurt, turmeric powder, salt and lemon juice. Nicely massage the chicken for 5 minutes and then allow it to rest for a minimum of 30 minutes. In a mixer-jar combine the coriander leaves, mint leaves, and green chilies and grind to a thick fine paste along with some water. Transfer to a bowl and set aside. To make the Biryani, in a heavy bottomed pan, heat oil on medium flame, add all the whole spices including bay leaf, cinnamon stick, cloves, cardamom and star anise, let this sizzle. Next, add ginger and garlic paste and the sliced onions, fry until the onions turn into a light brown colour. This will take about 5 minutes. 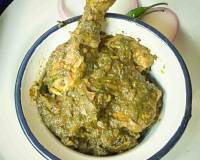 Once the ginger-garlic-onion mixture has cooked well, add in the chicken pieces along with the marinade. Mix and continue to cook the entire mixture for 5-7 more minutes, stirring continuously. Finally add in the freshly ground green biryani masala and washed and drained rice, 3 cups of water into the pan. Give the Chicken Donne Biryani a good mix and cover the pan. Turn the flame to the lowest heat. In a saucepan, boil water and turn off the flame and place this hot pan on the lid of the kadai. 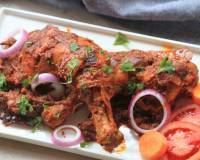 This process is done in order to seal the kadai in which the Chicken Donne Biryani is cooking. The heat from the hot water in the saucepan provides heat from the top. After 20-25 minutes open the lid to check if the chicken and rice is done. 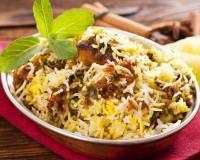 If its is done, lightly fluff up the Chicken Donne Biryani with a fork and serve piping hot.